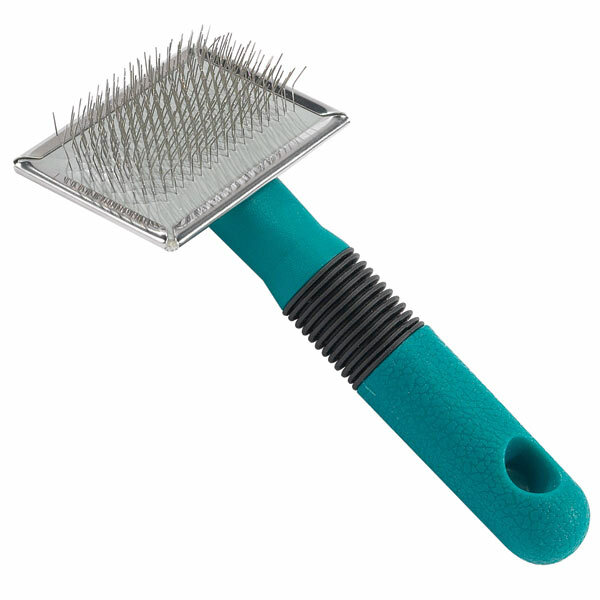 Pin Brush for Small Dogs, Cats, Guinea Pigs, Rabbits ext is ideal for untangling longer hair. 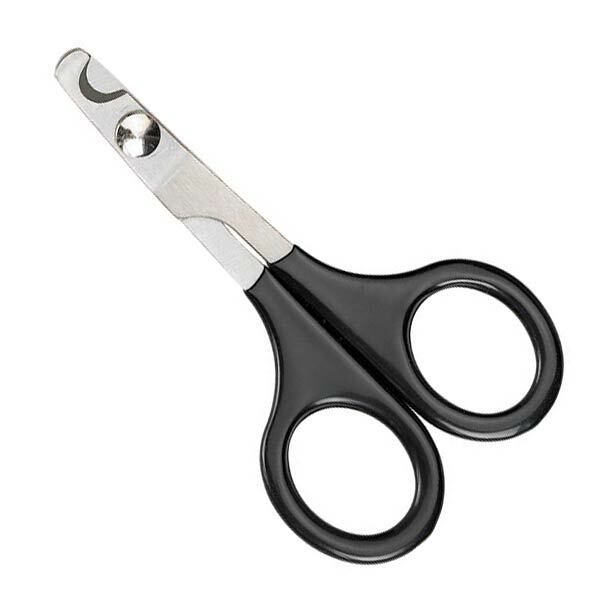 Redesigned, slim, textured handles have a non-slip rubber grip for added control and comfort. 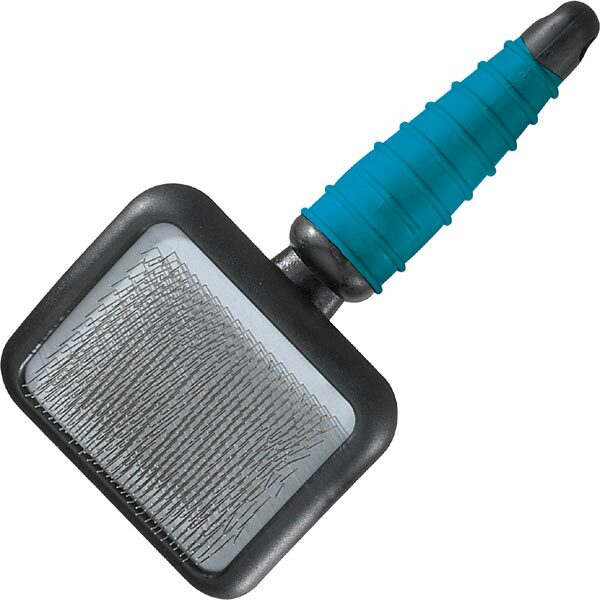 Stainless-steel pins have tips for the comfortable brushing sensitive skin. Ergonomic handles keep your hand in a natural position to prevent fatigue and repetitive motion injury. Handles are molded and double-coated with rubber to fit your hand perfectly and provide greater control. 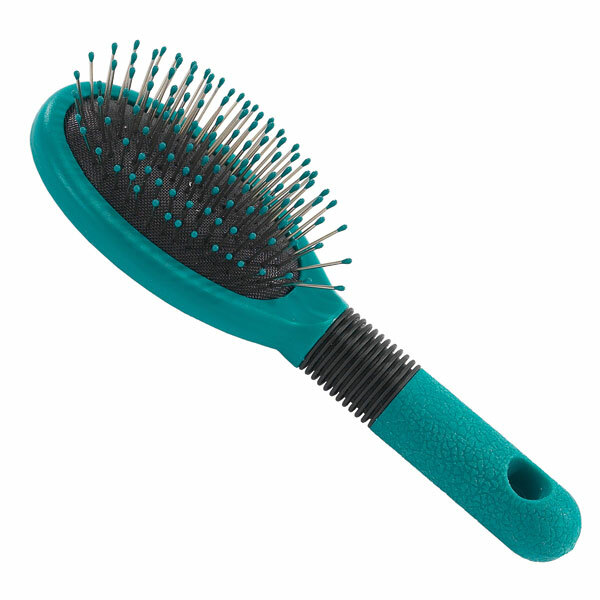 Features stainless steel pins that are cushioned to ensure that pets are brushed comfortably. Ideal for brush-outs and mat removal. I could not live with out mine.